Generally referred to simply as the ‘Wren Building’ or ‘College Building,’ the Sir Christopher Wren Building is the oldest university building in the United States still in use. Tradition has it that it was designed in the style of Sir Christopher Wren, the famed English architect of St. Paul's Cathedral in London. Most of the building is constructed out of red brick laid Flemish bond, as was typical for official buildings in 17th- and 18th-century Williamsburg. The Wren Building is joined in the Wren Yard by the Brafferton and the President's House. 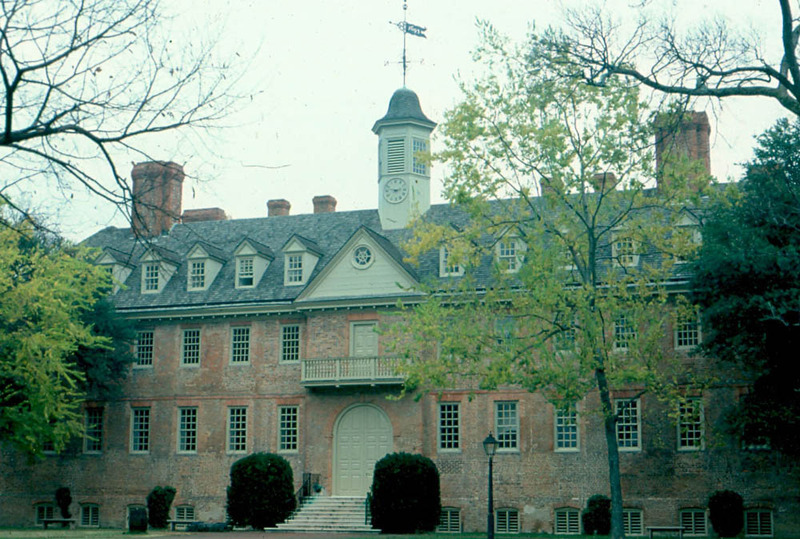 Together, the three oldest buildings at William & Mary form the Historic Campus. In the Wren Building, generations of students have attended seminars and lectures, enjoyed meals and attended chapel services. To this day, classes are still held in the Wren Building, which is also the home of the Religious Studies Department. The northern wing holds the Great Hall and the southern wing holds the Chapel. Both are often open to the public and still used for various functions. Lord Dunmore, the British colonial governor of Virginia, requested Thomas Jefferson develop plans for the completion of the College Building around 1772. 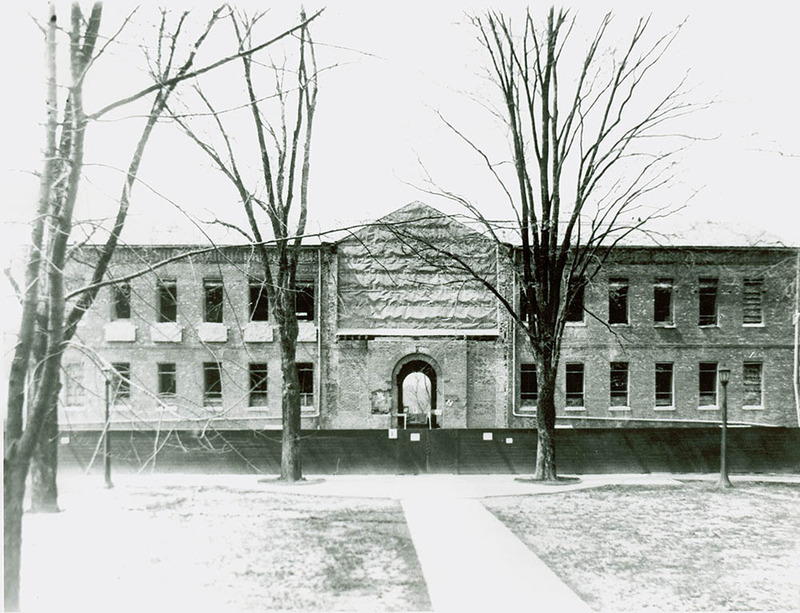 Originally planned to be a quadrangular structure, Jefferson's design would have doubled the existing building space. The foundations of the new west wing were laid but the Revolutionary War intervened and construction was suspended never to be completed. The foundations have been rediscovered on a number of occasions, both unintentionally and intentionally. The Wren Building has been gutted by fire three times: 1705, 1859, and 1862. Each time, the interior of the building was reconstructed inside the original walls. The two artillery pieces flanking the east door to the Wren Building were among several captured from the British after the Battle of Yorktown in 1781. The initials "GR" appear on the weapons and stand for George Rex, or King George of England. Plaques dedicated to students and faculty who fought and died in the Revolutionary War, Civil War, World War I, World War II, Korean War, Vietnam War, and to those who died in Iraq and Afghanistan are displayed on the walls of the Wren Building. Under the Wren Building lies a crypt that holds the remains of Lord Botetourt, members of the Randolph and Nelson Families, and William & Mary presidents Bishop James Madison and Thomas Dew. 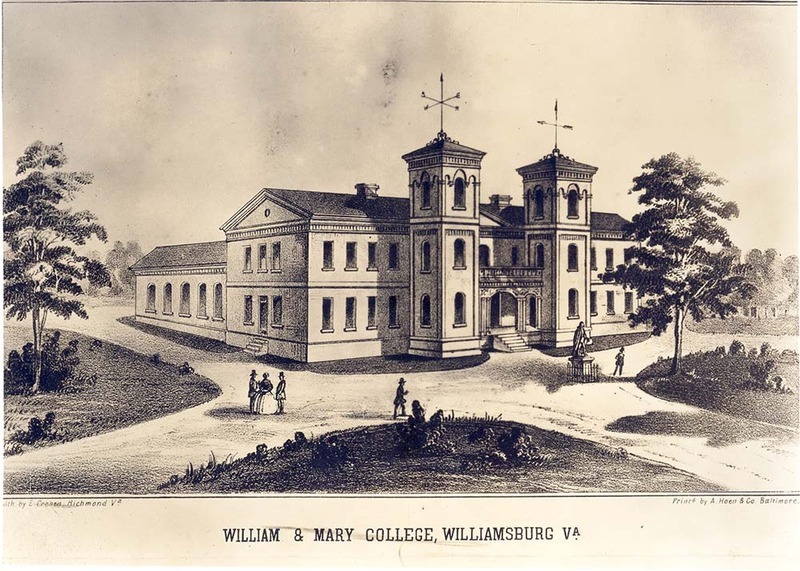 Over the years, the Wren Building has become the site for many William & Mary traditions, including Convocation, Yule Log, ringing the Wren bell by seniors, and the start of the walk across campus that includes all graduating seniors. Front of the Wren Building, circa 1980: Photograph of the front of the Wren Building facing Duke of Gloucester Street. ~ Source: University Archives Photograph Collection, UA 8. ~ Creator: College of William and Mary. 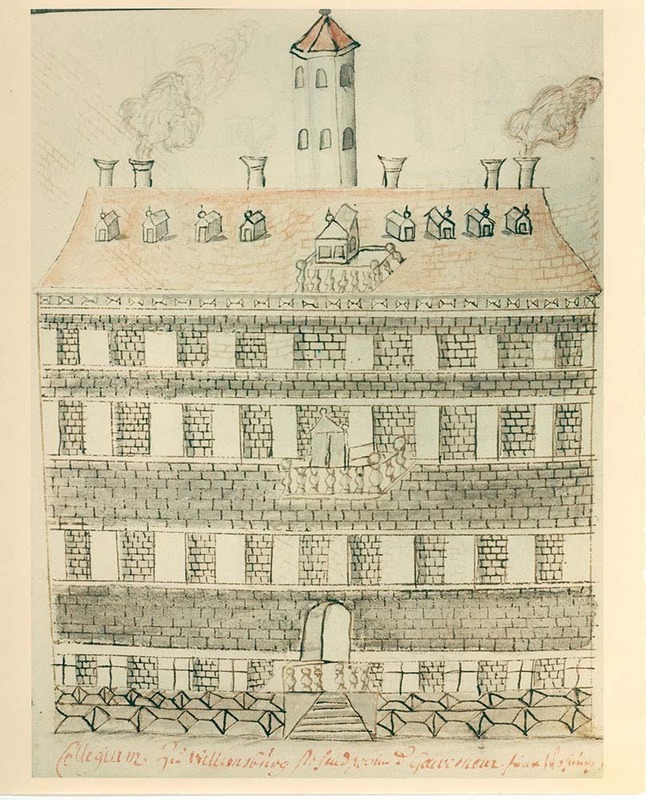 Drawing of the Wren Building, circa 1702: A view of the east elevation of the Wren Building, drawn by Swiss traveler Franz Ludwig Michel circa 1702, and the earliest known depiction of the Wren Building. ~ Source: University Archives Photograph Collection, UA 8. ~ Creator: College of William and Mary. 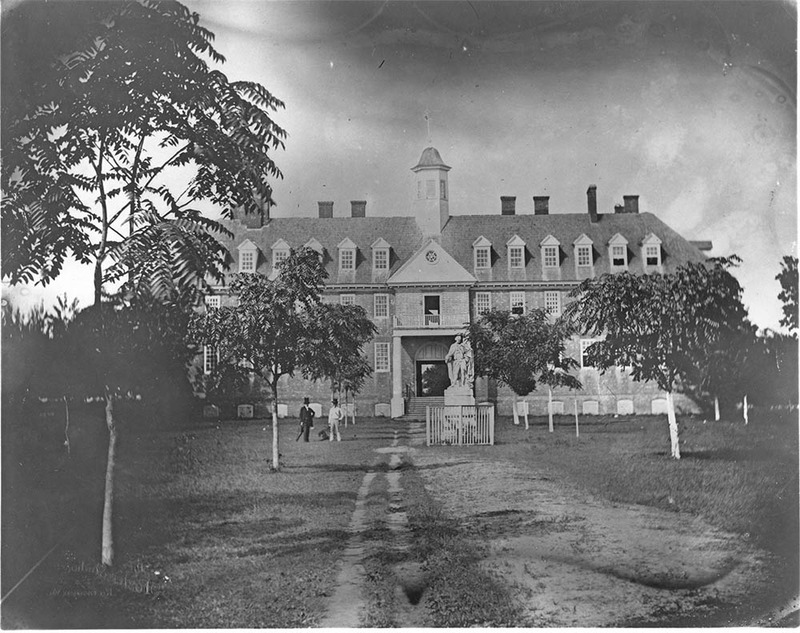 Front of the Wren Building, circa 1858: This copy of a glass daguerreotype is a view of east facade of Wren Building circa 1858. ~ Source: University Archives Photograph Collection, UA 8. ~ Creator: College of William and Mary. Front of burned Wren Building, 1859: Photograph of an engraving depicting the Wren Building after the fire of February 8, 1859. The original is in the George William Bagby Papers at the Virginia Historical Society. ~ Source: University Archives Photograph Collection, UA 8. ~ Creator: College of William and Mary. 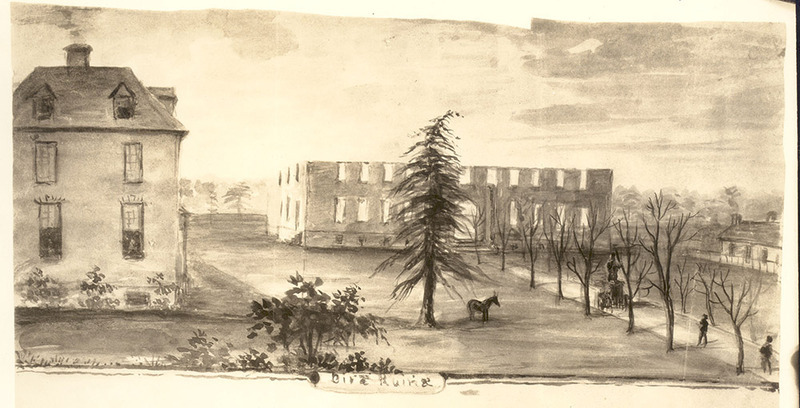 Front of Wren Building, 1859-1862: A photo of an engraving of the Wren Building, depicting the building during the brief period between the fires of 1859 and 1862. ~ Source: University Archives Photograph Collection, UA 8. ~ Creator: College of William and Mary. 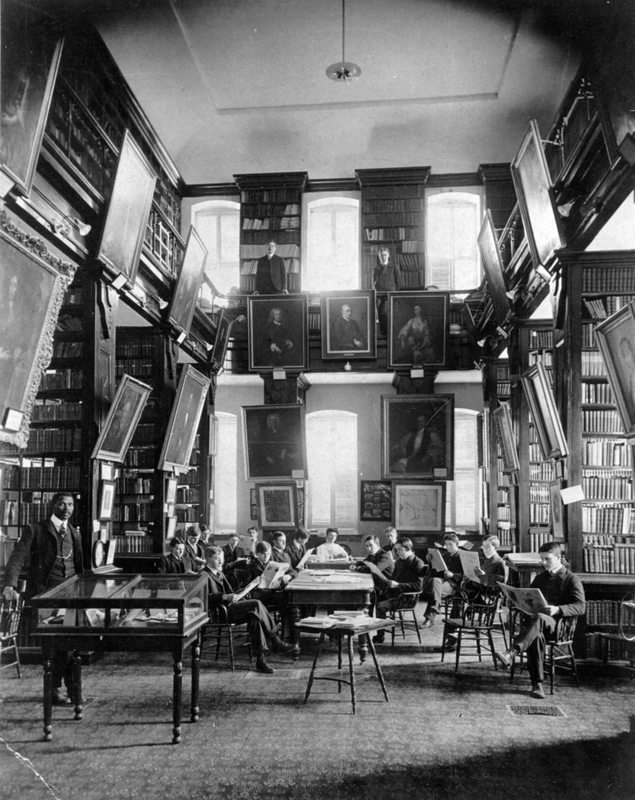 Wren Building library, circa 1900: Students with "Doc" Billups and Emily Pryor Christian, Librarian, in Wren Building library circa 1900. ~ Source: University Archives Photograph Collection, UA 8. ~ Creator: College of William and Mary. 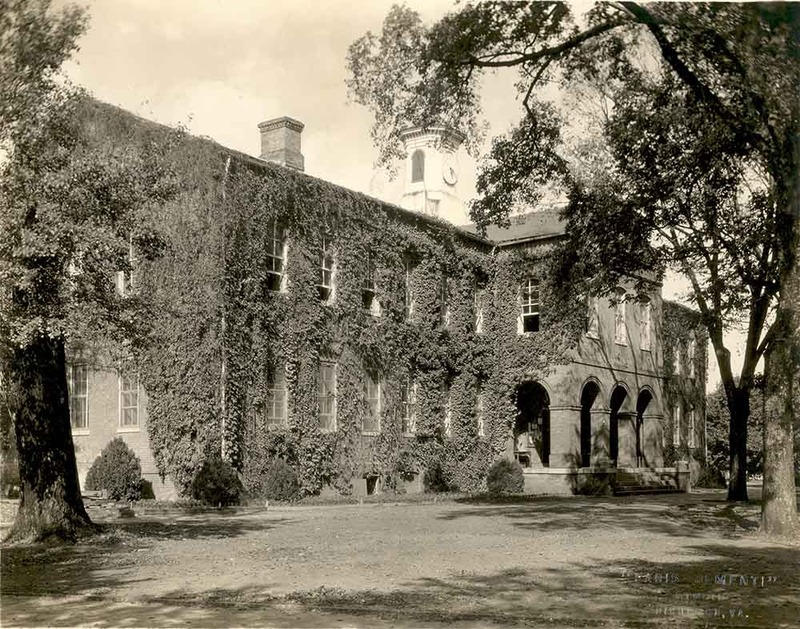 East and South facades of the Wren Building with ivy, circa 1920: A view of the east and south facades of the Wren Building covered with ivy, circa 1920 prior to the Rockefeller restoration. ~ Source: University Archives Photograph Collection, UA 8. ~ Creator: College of William and Mary. Front of the Wren Building during restoration, 1929: The front of the Wren Building in 1929 during the restoration of its colonial appearance, as part of the 1928-1931 Rockefeller restoration of Williamsburg. ~ Source: University Archives Photograph Collection, UA 8. ~ Creator: College of William and Mary. 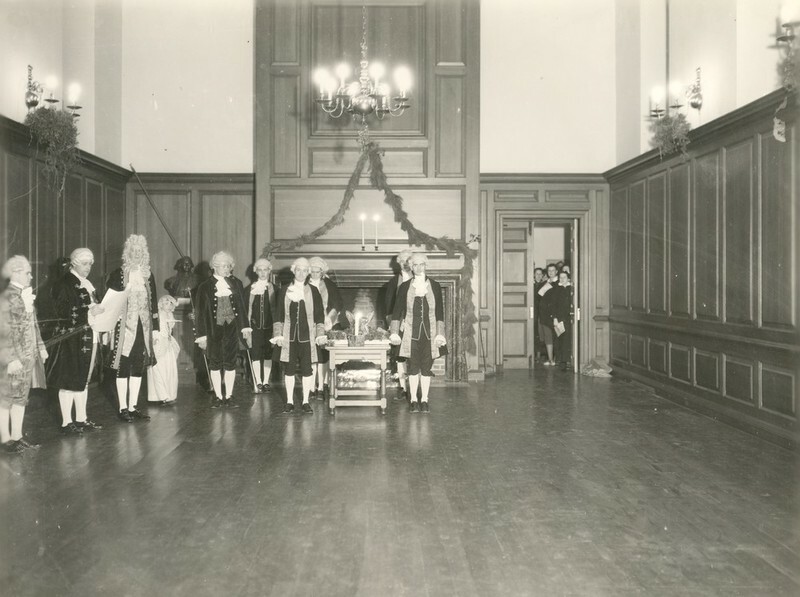 Yule Log Ceremony, circa 1936: Photograph of President John Stewart Bryan in Great Hall of Wren Building with Boar's Head at the Yule Log Ceremony. ~ Source: University Archives Photograph Collection, UA 8. ~ Creator: College of William and Mary. 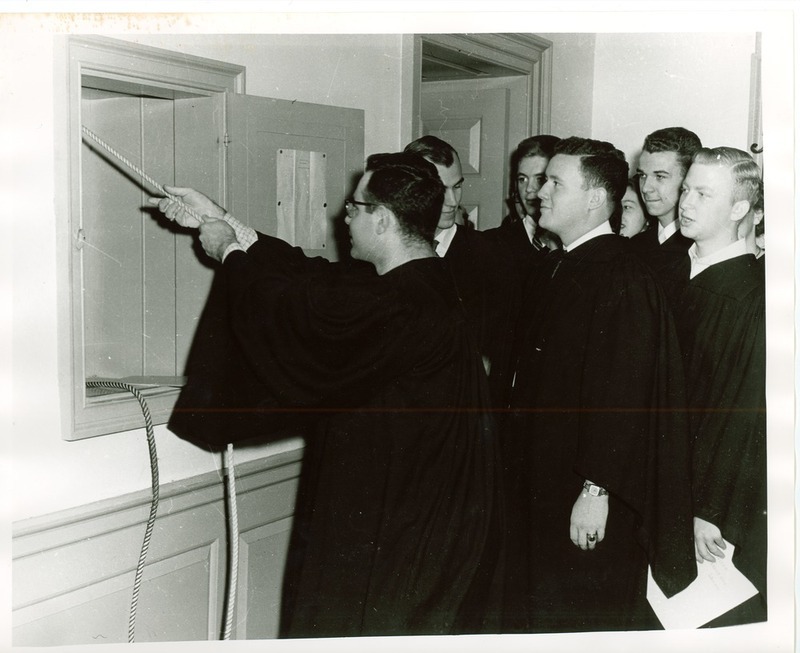 Class of 1954 seniors ringing the Wren bell, 1954: Seniors from the class of 1954 ringing the bell in Wren Building Cupola, a tradition that continues today on the last day of classes every semester. ~ Source: University Archives Photograph Collection, UA 8. ~ Creator: College of William and Mary. 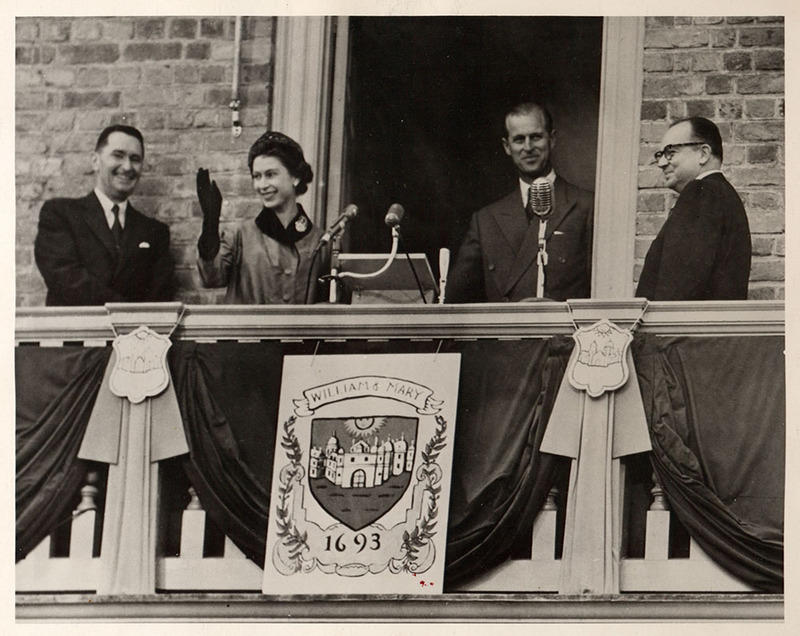 Queen Elizabeth II and Prince Phillip on Wren Balcony, 1957: Queen Elizabeth II and Prince Phillip on Wren Balcony in 1957 during a visit to William & Mary. Also present are President Alvin Duke Chandler (r), and William & Mary Rector Robertson (l). ~ Source: University Archives Photograph Collection, UA 8. ~ Creator: College of William and Mary. 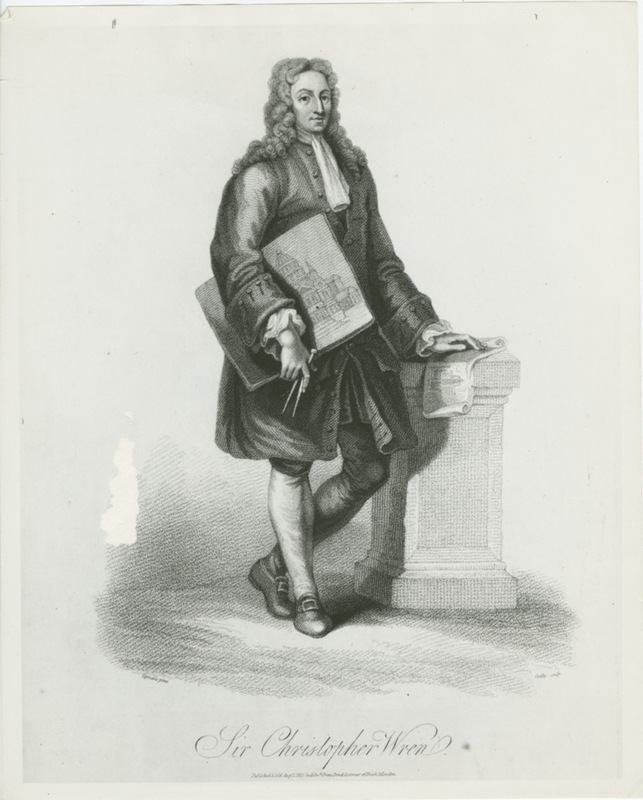 Sir Christopher Wren print: A print of Sir Christopher Wren, for whom the Wren Building is named after. ~ Source: University Archives Photograph Collection, UA 8. ~ Creator: College of William and Mary. 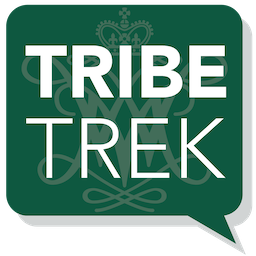 Special Collections Research Center, Swem Library, College of William and Mary., “Wren Building, Constructed 1695-1700,” TribeTrek, accessed April 26, 2019, https://tribetrek.wm.edu/items/show/1.